Its impossible to explain on the one page why Tasmania is the best place on earth. But we've had a crack. David Attenborough's Tasmania Attenborough narrates the story of a vast island wilderness - ancient forests, pristine rivers & spectacular coastline. Seasons vary from dry heat, strong winds & cold bringing wombats, wallabies & platypus out in daylight. Video available to watch for free until 8:31pm on 3 Jul 2018. Best time to visit tasmania? Any time is the answer. We're a state of four seasons and each reveals its own beauty – so bring your camera and brace yourself as every moment is picture perfect. DRIVE TO THE LEFT: Like the rest of Australia, down here you must keep to the left. 10 ROAD RULE MYTHS... New drivers and visitors to Tasmania, join us on a video journey that explains the road rules. All road users are responsible for their safe use of the road and so it’s important for everyone to know the rules. 28 The number of whisky awards Tasmania has won in the last 6 years. WEDGETAIL EAGLE Is an endangered bird of Tasmania. SOUTHERN LIGHTS: The best place to watch this natural light show is Tasmania. The Cleanest air in the world is in Tasmania The cleanest air in the world is carried by the famous Roaring Forties – extremely strong westerly winds found in the Southern Hemisphere – having had no contact with land for thousands and thousands of kilometres. This air hits Tasmania. MINERAL GEMS: Tasmania has a complex geological history, with the world's biggest exposure of diabase, or dolerite. YOU IN A YEAR You in a Year showcases our enviable lifestyle and illustrates how a move to Tasmania could be the answer to a happier and healthier life with more time and space. Part of the Tasmanian Government’s Population Growth Strategy, You in a Year is now appearing online with promotional videos and an interactive app that shows what life could be like just one year after moving to Tasmania. 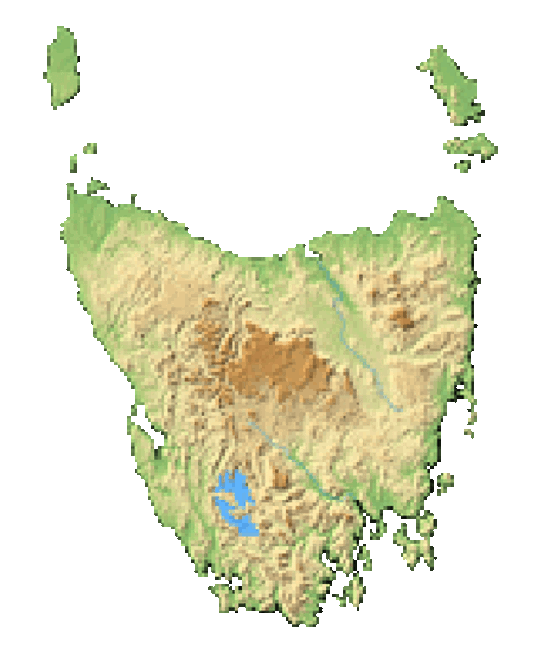 HOBART & LAUNCESTON Tasmania's two largest cities are located at opposite ends of the island joined by a 2.5hr drive. 98% of all green peas processed in Australia comes from Tasmania. SYDNEY TO HOBART: No regular annual yachting event in the world attracts such huge media coverage. OUR ENGLISH IS SLIGHTLY SKEWED: "As if" - This term is used by alot of people meaning 'no way' or just a plain simple 'no'. Also see sif, zif or ziffer. TASMANIAN GEM: The Spotted Handfish is a slow-moving fish who prefers to 'walk' rather than swim.